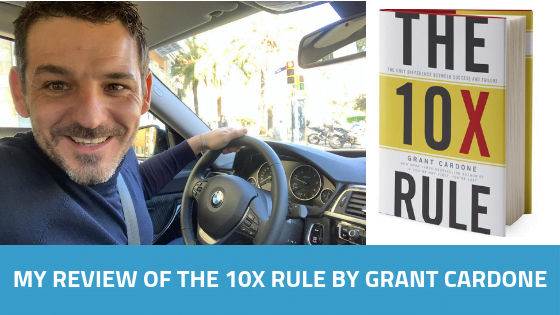 Are you ready to take your sales to the next level without having to pay for some eccentric coach, intense course, or super costly software? Step up your game with the simple download and install of one (or a few) of the best Google Chrome extensions for salespeople in 2018. First things first, what is a Google Chrome extension? A Google Chrome extension is software that you install on your computer in order to customize your browsing experience. Each extension is designed with a specific purpose, to complete a single task. There’s no broad scope here or hidden agenda. It’s simple, straightforward, and limited to its programming. Similar to a plugin for WordPress, this type of extension is a tool that should help to improve your overall user experience. It cannot, on its own, increase your sales. What it can do though, is provide you with additional information that will assist with the sales process. Extensions are available on nearly every browser, so why are we choosing to focus on Google Chrome? Simple. Because it’s the most popular browser used around the world. 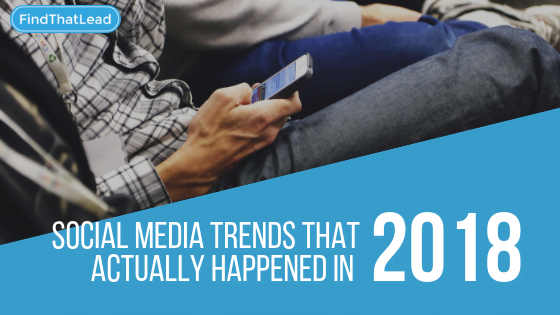 Chances are, you’re reading this article within Google Chrome now! Being the most popular has its benefits. Extensions designed for Google Chrome are often taken care of a little better than others due to their popularity. So what can a Google Chrome extension do for my sales? All browser extensions should be considered tools, not magic wands. You can’t install a Google Chrome extension and expect your sales to instantly rise. It just doesn’t work that way. Here are three things that you can look for when sorting out which extensions will best help you love your leads and serve your clients. #1 – Does it give you insight into your product or service? The better you know yourself, the better you can sell it. If you do your research and find that your product is the top producer in your industry but the clients all have one similar issue, won’t it help you sell more to figure out what that issue is and address it? At the same time, if you find out that your company’s website is ranking for terms that are in no way related to your products or services and not ranking for those that would be most valuable to you, you need to adjust your overall sales strategy! All information about your organization, be it good or bad, is important to digest in order to find a way to better serve your current clients and leads. #2 – Does it give you insight into the wants/needs of your leads/clients? So where does this insight come from? By observing the behavior of your leads. Do they open your email? Comment on your posts? Do they seem to respond better in the morning or afternoon? Paying attention to these ‘little details’ can help you identify the steps that you need to take in order to improve your sales methods. #3 – Does it make you more productive or efficient? If you spend too much time clicking between windows, copy and pasting, or trying to remember your passwords to a zillion different accounts – streamline your day by installing Google Chrome Extensions to customize your browsing experience and make life (and work) a little easier. What areas do Google Chrome extensions focus on? As we already discussed, extensions have a very defined focus. For that reason, there are a ton of them available for download on Chrome. You can use one or 20, whatever you need to help you improve your processes and grow your business. Something else you should know… many Google Chrome extensions for sales are absolutely free. You can download and install them at no cost. Does it get any better than that? Okay, are you convinced? Are you ready to start downloading? 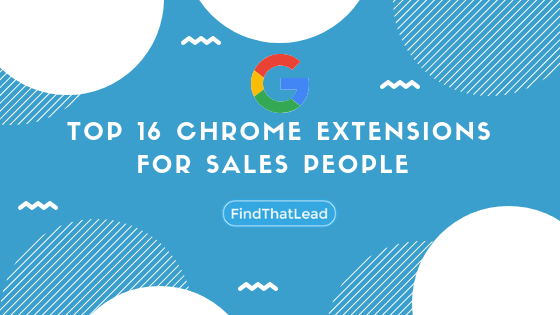 Here’s our list of the top 15 Google Chrome extensions for salespeople that you need to download and install today! 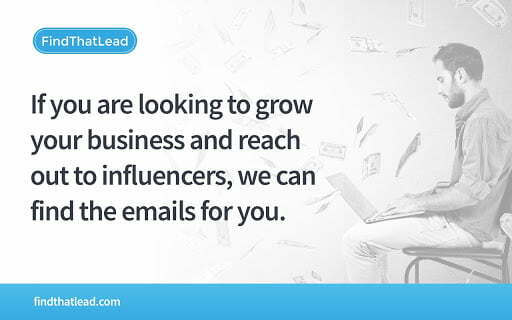 Grow your business and reach influencers fast with the Google Chrome extension by FTL. 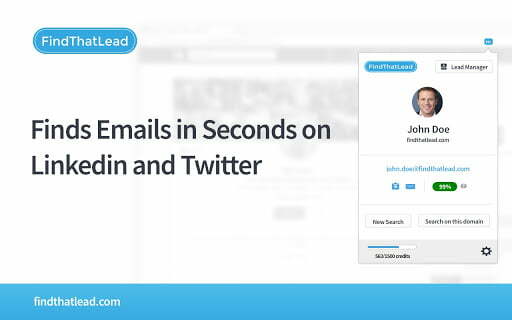 This easy to use extension helps you find email addresses in seconds on LinkedIn, Twitter, and any other domain for that matter. Just pull up the website, open the extension, click on ‘find email’, and let the extension do the rest. 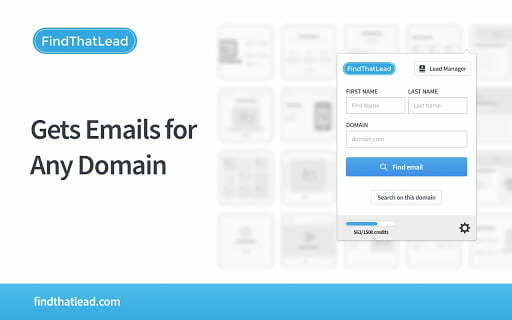 In addition to finding the email address you need, the FTL extension will automatically verify and export your contacts – saving you so much time so that you can start loving your leads. Available for free on Chrome. Buffer is easy to use and available for free on Chrome. Super easy to use graphic design software created by Buffer that allows you to create beautiful designs very quickly right through your browser. 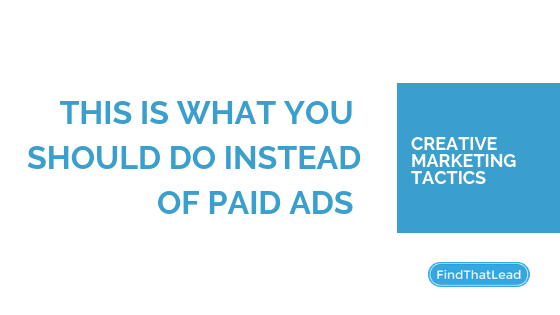 Use Pablo along with Buffer to share in real time or schedule social media posts that are visually appealing and more engaging. Use Pablo to improve your social media presence. Available for free on Chrome. Point allows you to easily share and discuss the content you love with your family and friends. When you find an incredible article or information that will be helpful on a project, simply highlight your favorite part, choose the person you want to share it with, and click send. The extension will keep a list of the links you choose to share, so it’s almost like a secondary bookmark area to save your favorite content. Available for free on Chrome. Trello uses boards, lists, and cards to help you organize your projects. The extension allows you to add cards to your Trello account from your browser. With a simple click, the website’s name and the link will be filled in for you and saved to the board of your choice. If your world is saved in Trello, this Google Chrome extension will save you time and keep you focused on your sales goals. Available for free on Chrome. Basecamp is another project management tool used by many teams to stay organized and collaborate on projects. Their Google Chrome extension, Basecamp Notifier, helps keep you on task by notifying you of any changes within your account. Choose to focus on some and ignore others, while prioritizing events with their starring system. Perfect for the salesperson who needs to stay on top of regular task updates made by the team collaborators. Available for free on Chrome. Another tool to help make sharing your favorite content to all of your social media accounts super simple. If your organization releases a product update or new feature, you need to get the word out fast – right? Get your favorite announcements in the feeds of your social media audience fast with Hootsuite’s Hootlet. Even better though, integrate your account with Google Maps to help build your local SEO presence with every single post you publish. If you’re already using Hootsuite and want to streamline your processes, this is the perfect opportunity to do so directly from your browser. Available for free in Chrome. Automatically hyperlink keywords while you type in Gmail. This tool is an incredible time saver and saves you the hassle from flipping between website pages in order to link your content. This extension integrates with most link tracking software, boosting your productivity every step of the way. Available for free in Chrome. What better way is there to love on your leads than to bring a smile to their faces with an acute or hilarious gif? Save yourself time scrolling and flipping through screens by installing this Google Chrome extension that allows you to add gifs to all of your conversations directly from your browser! If you are primarily focused on email, Giphy has a Google Chrome extension designed just for gmail. Download both today for free in Chrome. Do you always forget your passwords, have them written down on a tiny piece of paper somewhere, or stored in an insecure Word document on your laptop that’s not password protected? Major no! Protect your passwords and save yourself so much time and hassle by installing this award-winning password manager Google Chrome extension, LastPass. This simple yet robust extension allows you to save usernames, passwords, and even credit card information all in one place so that it’s easy to access whenever you need it. Once installed, you’ll only have to remember a single password for your device. Time saved and security, along with peace of mind, found. Available for free in Chrome. Improve your writing skills without taking a class or hiring an editor. 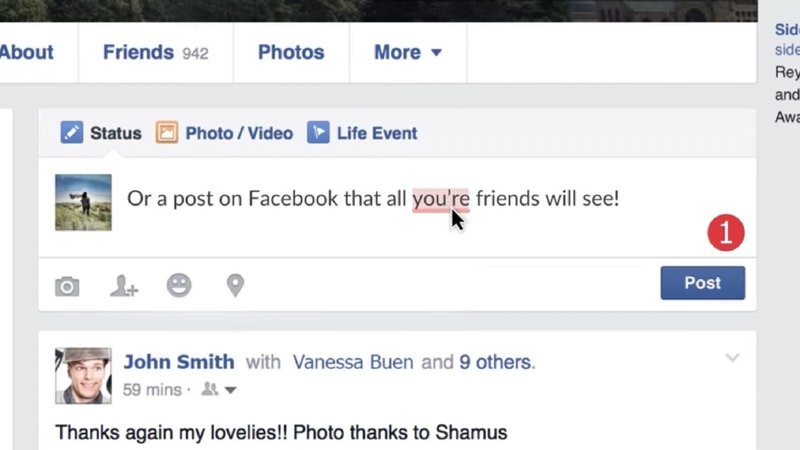 Grammarly was designed to help you enhance your written communication skills no matter where you are typing. Install the extension and watch the changes take shape as you type. This extension will catch typos, spelling mistakes, grammar errors, and even suggest improvements for your word choices. Available for free in Chrome. Meetings don’t schedule themselves! Well, maybe they do with Zoom Scheduler. If your sales process requires more than one meeting, let this scheduling app set up your meetings and add them directly to your Google Calendar. Not only does it save you time by cutting out back and forth emails, but it keeps your schedule on point and helps you avoid double booking yourself. On to of scheduling, Zoom supports video meetings, conference calls, and record meetings with unparalleled voice, video, and screen sharing quality. Get access to professional email tools directly in your inbox! 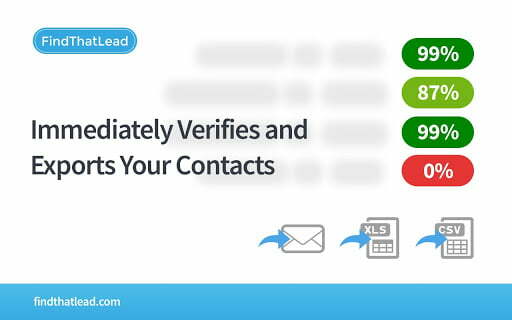 Features include email and attachment tracking, email templates, meeting scheduler, follow-up reminders, scheduling emails to send later, and set up drip campaigns and reminders. On top of making the time you spend in your inbox more productive, the Cirrus Insight Google Chrome extension also provides valuable insight into what happens after you send an email. The analytics will allow you to get to know your customers better to improve conversations and understand their needs. Previously Rapportive, LinkedIn’s new ‘Sales Navigator’ extension allows you to see profile data for your LinkedIn contacts right in your inbox. This information helps aid the conversation process by providing icebreakers to chat about, mentioning mutual connections, and showing their photo (isn’t it nice to see a friendly face?) right in your inbox! Improve your emails and the quality of your conversations with this incredible Google Chrome extension for sales, now with a lite version available for free in Chrome. Get all of the information you need to know about every contact you have saved in Salesforce, without ever having to leave your Gmail inbox! It’s easy to use and lightning fast. Syncing Salesforce to your Gmail account with this Google Chrome extension will help you keep both accounts up to date with your contacts and calendars. Available for free on Chrome. If you get similar inquiries all day long, save yourself time (and stress) by replying to them all at once with the Batch Reply Google Chrome extension for GMail. It’s easy to use and will save you so much headache! Alright, you’ve got the list of our top 15 Google Chrome extensions for salespeople. Now, what are you going to do with it? Don’t sit around and wait for your productivity to increase on its own. Each of the tools we mentioned is free and available today. Start downloading now! Save yourself time. Become more productive. Love your leads. 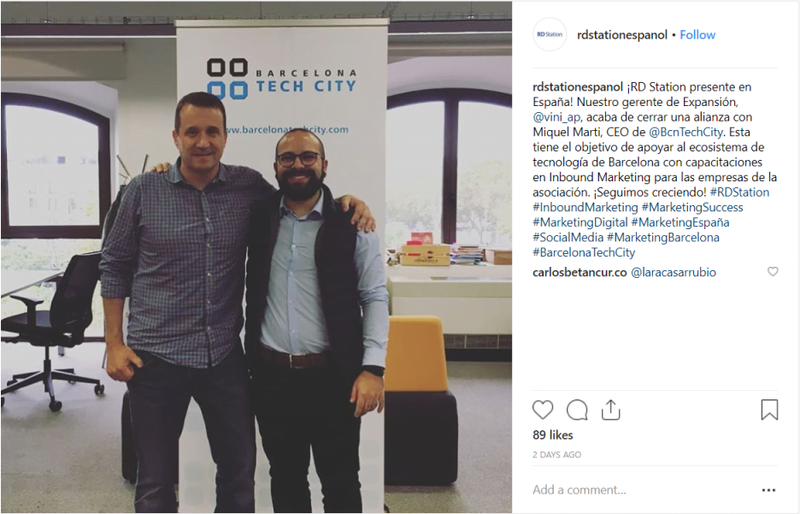 RD Station and Barcelona Tech City to come together!